Show open 10 a.m. - 5 p.m. Thursday, Friday & Saturday. HOTEL - Stay on site at the Trawlerfest host hotel. All seminars will be held onsite at the Riverside Conference Center. Seminar registration will be on the 2nd floor with the seminar rooms. A map of the Marriott is available here. Free onsite parking available. LUNCH:Attendees will be provided box lunches both days. PARTY/CEREMONY:Attendees and spouses are welcome to a “graduation” party after Wednesday’s session, during which certificates of completion will be awarded, and a good time will be had. In some cases, the certificate of completion may help attendees save money on their boat insurance. BONUS:Video class on how to clean your outboard’s carburetor. “Can you help me here?” is one of the most commonly asked questions from the new cruisers we meet. The reality of it is that emergencies in remote places can have dire consequences unless you’re sufficiently prepared. Join Dr. Jim Chimiak, DAN medical director, for an open discussion on boater safety resources and an approach to basic medical care, including case reviews that detail the initial steps in dealing with medical emergencies in remote locations. Chimiak is an Annapolis graduate, an avid coastal boater, has a great deal of marine medicine experience and is a practicing surgeon. Certificate of completion. Half the course is about law and custom; the other half is about the mechanics of securing your boat. These topics are not as disparate as it may seem at first glance. A solid familiarity with both is absolutely essential to enjoy your time on the water safely. Marine author/illustrator Bob Sweet is your instructor. Sweet will use illustrations to make learning easier and, for the knot portion, attendees will learn with actual lines and cleats as well. With Kim Russo & veteran loopers. 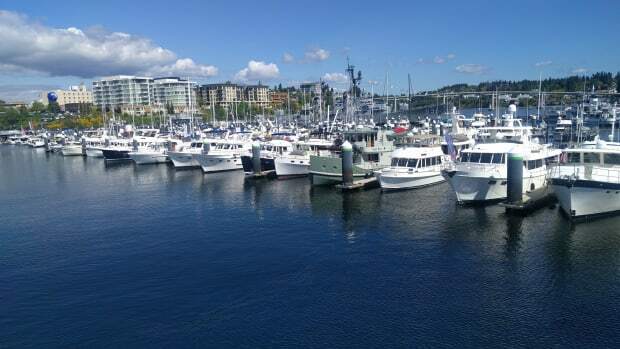 This course, combined with “Boat Handling on the Water” will develop skills in close quarters maneuvering and docking, not to mention the confidence gained from having been taught by some of the very best instructors in the business. Bob Sweet is the author of several marine titles including Powerboat Handling Illustrated and The Instant Handbook of Boat Handling, Navigation and Seamanship. Wednesday morning is all class time followed by six on-the-water sessions in the afternoon and on Thursday and Friday. (SEPARATE REGISTRATION REQUIRED). The certificate of completion awarded to attendees may help save some money on their boat insurance. This seminar is ambitious in its goal, which is to teach boaters how to create their own weather forecasts using publicly available information. This is a deep dive into science, and its goal cannot be accomplished in a single day. Accordingly, attendees will be required to take Parker’s online course “Weather 101, Basics” at www.boatersuniversity.com, which is another educational program operated byPassageMaker and its sister publications. The “Weather 101” prerequisite will teach the basics in a format that allows unlimited reviews of the material, reinforced with quizzes. 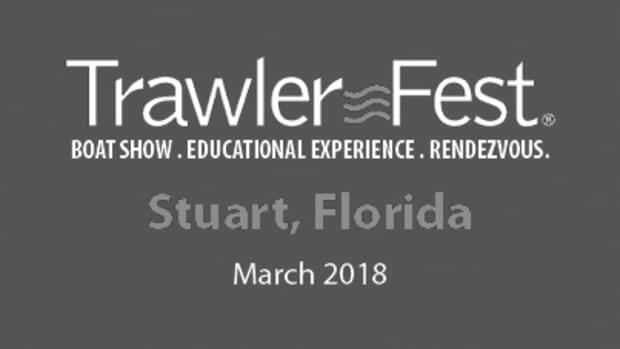 A video of “Weather 202” will also be available soon after TrawlerFest at www.boatersuniversity.com free to anyone who has completed Weather 202 at Stuart. Box lunches will be provided, and attendees will receive a certificate of completion. Heading south for the winter? This seminar will get you where you want to go. 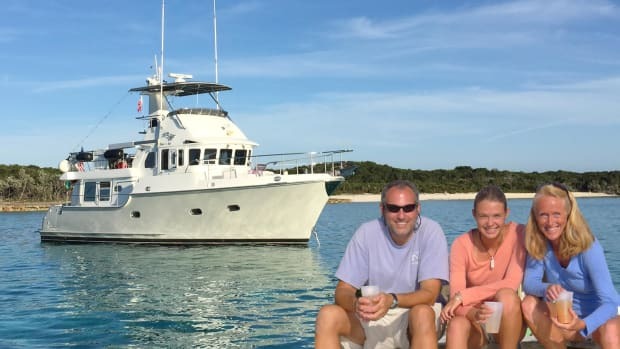 Captains Chris & Alyse Caldwell can help you plot your course along the Atlantic Intracoastal Waterway from the Chesapeake Bay through mile marker zero in Norfolk, Va., all the way to the Florida Keys. 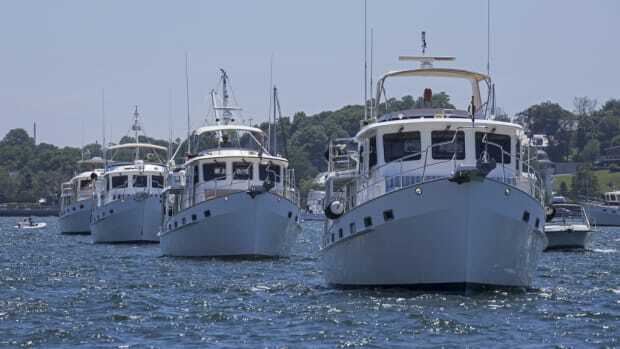 Learn a few tips to keep you in the deeper channel and off the sandbars from experienced cruisers who traveled the route in many different size trawlers- with as deep as a seven-foot draft. There are details to explore such as tide, currents and drawbridges that are specific to cruising the Atlantic coast. Here’s a peek at where you will be traveling when it’s your turn to live the dream. $150 (Not included in VIP Pass. Prerequisite: Boat Handling Illustrated. Class limit: 4 persons) Certificate of completion. 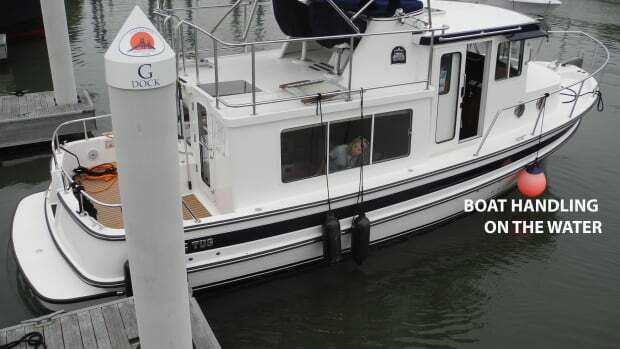 Even when it goes well, buying a boat can be a stressful process. The idea behind this eight-hour seminar is to arm buyers with the information they need to minimize frustration and unnecessary expense. There are six “team teach” instructors, with individual presentations and a group panel session at the end of each morning. On Day One, the seminar leads off with the first decision a prospective buyer of a cruising boat must make. That is, what kind of cruiser you plan to be and therefore which hull design, because, as boatbuilder Steve Zimmerman will argue, hull form matters. Then boatbuilder Ken Fickett will explain fiberglass boat construction, coring and how to discern between good and bad.Insurance veteran Cary Wiener follows with a behind-the-scenes look at marine insurance and the elements of a good cruising policy. Topics will include navigation territories, coverages, claims liability coverages, international medical coverage, north/south restrictions, named windstorm deductibles and the differences between the agreed value and actual cash value policies. On Day Two, metal boat builder Dylan Bailey explains metal boat construction and its advantages and disadvantages, and he addresses custom boat building in general. Then, Bailey dons his surveyor cap and discusses how to choose the right surveyor and his or her proper role. 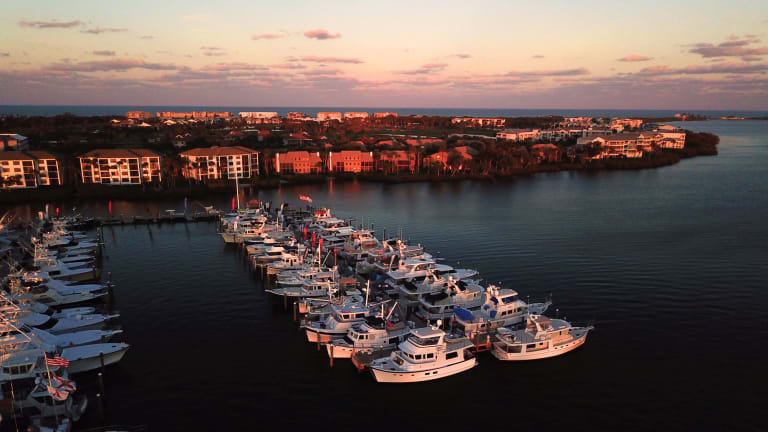 Vin Petrella, executive direction of the Association of Yacht Sales Professionals, will discuss how to choose the right yacht broker and the elements of a good sales contract. Maritime Attorney Todd Lochner then cautions buyers on the intricacies of local tax laws for East Coast cruisers. His goal: To help you stay two steps ahead of the taxman. Marine author/illustrator Bob Sweet will discuss how to get the most from radar, sounders and chartplotters, which nowadays often live together on our multi-function displays. He will discuss the latest uses for AIS technology. Do we still need to carry paper charts? Sweet has an opinion on that. This seminar is designed to be paired with “Multi-Function Display Hands-On” later in the morning and on Friday. Certificate of completion. Would-be cruisers often ask, “What do I need to look for in a boat for The Great Loop,” as if maybe they didn’t intent to cruise anywhere else. And maybe some do not. 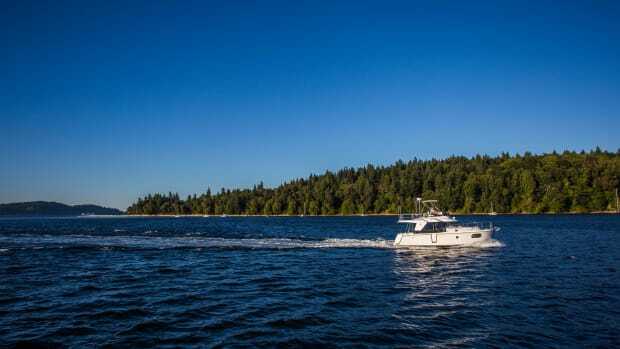 The Loop is a magnificent adventure, usually with land to starboard and port, but there are plenty of boats that do a great job on inland waters that can also go offshore and even cross an ocean. There are affordable boats that can do both the Erie Canal and the Atlantic Ocean in comfort and safety. John Clayman, president of Seaton Yachts with tens of thousands of ocean miles under his belt, will review the particular requirements for Great Looping and for more strenuous cruising. He will provide examples of dual-purpose vessels for every budget. 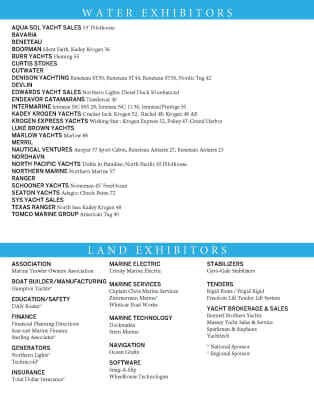 Donning his yacht broker cap, Clayman will also discuss how to find and purchase the best boat for your needs. There will be ample time to respond to questions about design, construction, surveys and the purchase process. This seminar is designed to show you how to become proficient at electronic navigation--six working MFDs, 18 students with three per screen. Our instructor has spent an entire career developing marine electronics for Furuno. But this seminar is not about one brand; it’s about what all brands share in common, which is a lot. It’s an open secret that when one manufacturer introduces an innovative feature, that idea finds its way into the competition’s products pretty quickly, however different the interpretation may be. Certificate of completion. Learn about an easy Florida adventure that involves circumnavigating the lower part of the state via the Okeechobee Waterway and Florida’s Ten Thousand Islands. Boatbuilder, Florida native and all-around raconteur, Ken Fickett takes you on a journey that encompasses many of Florida’s remaining wild and eccentric places. 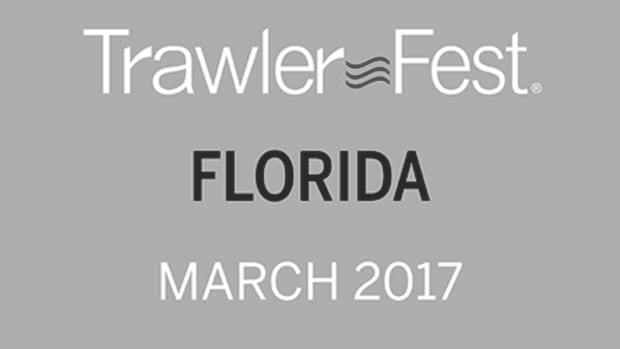 He will be joined Peter Swanson of TrawlerFest, who lives and cruises on Florida’s St. John’s River and calls it a “Time machine to Old Florida.” We might go overtime with a brief discussion of cruising to Cuba for anyone interested. This seminar pairs well with “Cruising the Dry Tortugas,” which follows in the afternoon. The Dry Tortugas National park is a small group of islands located 70 miles west of Key West Florida in the Gulf of Mexico. It is home to a history of sea turtles, sunken wrecks and one of the largest coastal brick fortresses, Fort Jefferson. It is an amazing cruising getaway to unspoiled reefs, shallow water wrecks and fantastic star gazing. Learn about cruising to the Dry Tortugas by trawler and exploring all the wonders it has to offer, including: beautiful beaches, crystal clear water for snorkeling and diving, local wildlife and a fort that is rich in history. The Kalisiks will take you on a guided tour of cruising to the Dry Tortugas and exploring their favorite cruising destination. They’ll discuss considerations such as provisioning (you must bring everything you need with you), isolation (no cell or WiFi service), weather, anchoring as well as exploring the islands and reefs by snorkeling and diving. From keel to cabin top and seacocks to sealants, this class will provide in depth instruction on how to maintain your boat. 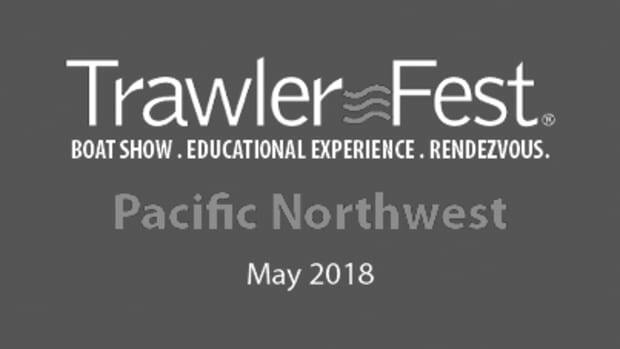 This seminar will cover hauling, bottom paints, blister repairs, inspecting and maintaining underwater hardware, preventing damage to cored hulls and decks, gelcoat maintenance, installing and re-bedding deck hardware, coating options for exterior wood, teak deck maintenance and annual maintenance tasks. We have all heard amazing stories of survival that rendered us awestruck. But too often we don&apos;t realize that there is a wealth of information to learn from people who make it to the other side of life&apos;s most daunting challenges. New York Times Bestselling author Michael Tougias has conducted extensive research involving people who have survived sea disasters and obstacles that most of us shudder to think about. He shares what he has learned about decision-making under pressure from researching his four national bestsellers: “Overboard!,” “Ten Hours Until Dawn,” “Fatal Forecast,” “A Storm Too Soon” and “The Finest Hours.” Walt Disney Pictures has released the movie version of “The Finest Hours” to the big screen. Tougias demonstrates how survivors channeled and managed their energy into proactive life-saving decisions. Practical lessons to avoid mistakes while boating are mixed with inspirational tips for handling adversity. Pairs well with “Safety & Survival at Sea” on Saturday. What you need to know about financing and insuring your boat. The requirements lenders will have, for insurance and financing. What you want to have to protest yourself on insurance and financing. Finance programs that fit your needs. While lesser known than the Great Loop, the Down East Circle offers spectacular scenery and a full range of waterways. The trip begins in the Hudson River, into the Erie canal, out the Oswego and into Lake Ontario and the beautiful Thousand Islands region. Following the St. Lawrence brings you to the French speaking cities of Montreal and Quebec. After exploring the breathtaking Saquennay Fjord you leave the St. Lawrence River as it widens into a Gulf. Prince Edward Island, the Magdalen Islands, and Cape Breton offer spectacular cruising grounds including the famous Lake Bras D’Or. The eastern seaboard of Nova Scotia provides a wide range of anchorages and history, including Halifax and Lunenburg. Veteran boatbuilder and cruiser Steve Zimmerman will share his itinerary, recommendations, and lessons learned, along with jaw dropping photographs. It’s about the water in your boat, not the water your boat is in! Fresh water, soft water, salt water, reverse osmosis water, deionized water - what do we do with all of these types of water in our boat? Managing and keeping a boats water system in a healthy condition can be a challenge. Spend two hours with Bob Arrington as he breaks down the chemistry in different types of water and how to keep your water tanks fresh and usable all the times. Bob will review different types of water softeners available and the benefits of using them in your fresh water tank. Choices for on-board water filtration systems will be discussed. There will be an in-depth review of reverse osmosis (RO) water makers, how to select, size and maintain one. Learn the benefits of having deionized water on board and how it can help maintain your boat. Celebrate Opening Day weekend at TrawlerFest in the Pacific Northwest!